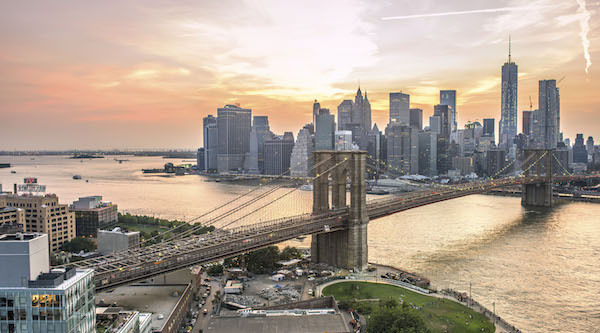 NEW YORK, NY: New York City Economic Development Corporation (“NYCEDC”) is issuing a Request for Proposals (“RFP”) seeking one or more service providers with proven track records to develop and launch services (the “Services”) as part of Urbantech NYC. The Services will collectively drive the development and dissemination of clean tech and smart cities technologies in New York City. The Services are as follows: (1) develop an Urbantech NYC Website to serve as a central resource for the Urbantech NYC community and promote Urbantech NYC programs, resources, and events; (2) provide media and marketing services to promote Urbantech NYC programs, resources, and events through robust marketing and social media strategy; and (3) create an Urbantech NYC Partner Network to engage and leverage existing organizations and resources to expand Urbantech NYC activities and reach. NYCEDC plans to select a service provider on the basis of factors stated in the RFP which include, but are not limited to: the quality of the proposal, experience of key staff identified in the proposal, experience and quality of any subcontractors proposed, and demonstrated successful experience in performing services similar to those encompassed in the RFP. Respondents may submit questions and/or request clarifications from NYCEDC no later than 5:00 p.m. on September 20, 2017. Questions regarding the subject matter of this RFP should be directed to UrbantechRFP@edc.nyc. For all questions that do not pertain to the subject matter of this RFP, please contact NYCEDC’s Contracts Hotline at (212) 312-3969. Answers to all questions will be posted by September 27, 2017, on this page. Attention: Maryann Catalano, Chief Procurement Officer, Contracts. Please find date, time and location listed below. Those who wish to attend should RSVP by email to UrbantechRFP@edc.nyc by 5:00 p.m. on September 8, 2017.